In a major coup for fans of shows whose titles are emotions ending in suffixes, Showtime has announced that it’s renewing its poverty-set dramedy Shameless for a sixth season, as well as picking up comedy pilot Happyish to series. This is actually Happyish’s second pick-up order; the show, originally conceived as a vehicle for Philip Seymour Hoffman, was pushed back to the pilot stage after the actor’s February 2014 death. Steve Coogan has since taken over Hoffman’s role of an older ad executive struggling to remain relevant in a youth-oriented world. The series will also star Bradley Whitford, Kathryn Hahn, and a bittersweet sense of creeping ennui. Meanwhile, Shameless, which began its fifth season on Sunday, has received a 12-episode order for a sixth season that will carry it through 2016. Given the positive critical acclaim the show picked up during its fourth season—including here on The A.V. 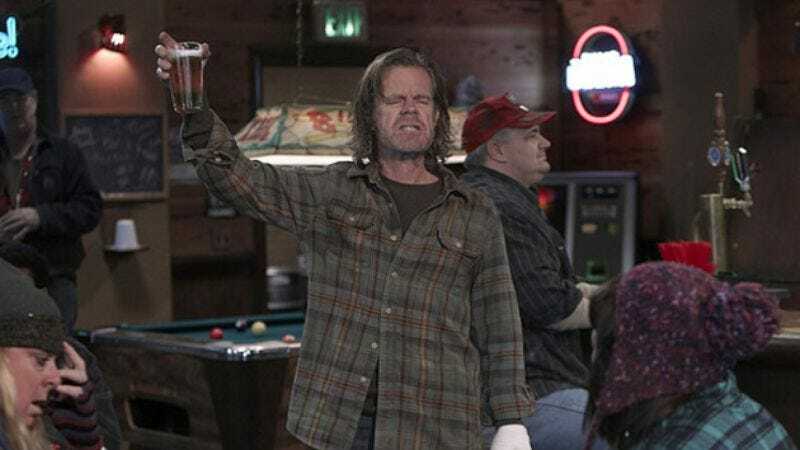 Club, where it was named one of the best shows of 2014—that’s good news for fans of the Gallagher clan and their look at the marginally lighter side of welfare fraud, soul-crushing poverty, and William H. Macy’s filthy hair.